The fight for the right to the city – for community involvement in urban development – has had a peculiar champion in the most peculiar of places. In its decision last year In The Matter of Cutting of Trees for Canal Road Widening Project, Lahore (2011 SCMR 1743), the Supreme Court of Pakistan adopted a novel approach to resolve a complex urban planning and environmental regulation issue. Lahore, Pakistan’s second largest city, like all of its cities, is suffering from rapid urbanization. At 35 percent, Pakistan’s population is already the most urbanized in South Asia. Lahore has mushroomed from a city with a population of less than 800,000 at the time of Partition in 1947 to approximately 10 million today. Traffic in Lahore. Photo credit: pakrealestatetimes.com via www.express.com.pk. The growth of Pakistani cities, especially in the last two decades, has been fueled by new property speculation, automobile financing instruments, low petrol prices and cheap peri-urban agricultural land susceptible to Pakistan’s State-friendly laws of eminent domain. The resulting sprawl has been dramatic. A recent study by the Japanese International Cooperation Agency indicates that 66 percent of the city’s population lives in less than 10 percent of the city’s footprint. What this means for Lahore, more than anything else, is that automobile traffic has become unmanageable and will only get worse. 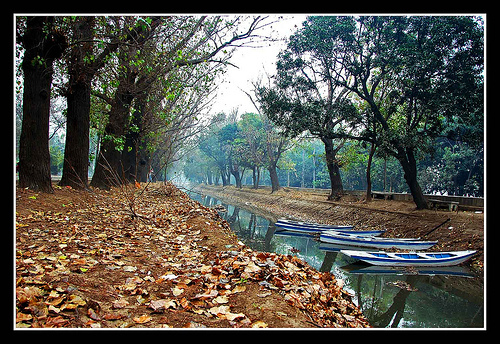 In 2006, in an effort to deal with automobile congestion, the Government of Punjab decided to widen one of the city’s longest streets, The Canal Road – a gorgeous, tree-lined avenue alongside an irrigation canal that flows diagonally through the city. However, this plan included felling hundreds of the trees and threatened to destroy one of Lahore’s unique public recreation sites, not to mention the birds and wildlife. Increased automobile usage, coupled with the loss of tree cover, also threatened the air quality of the area. The citizens of Lahore where quick to react. They formed an umbrella organization under the name Lahore Bachao Tehreek (the “save Lahore movement”) and argued that the permission to go ahead with the road-widening project could only be commenced after the Government of Punjab obtained Environmental Approval of the Environment Protection Agency, Punjab – a requirement under Pakistan’s environment legislation. The Supreme Court of Pakistan, employing the unique feature of the suo motu jurisdiction, took cognizance of the issue and directed the Government of Punjab to comply with the law and obtain EPA, Punjab approval. In due course, the approval was granted but the purpose of the LBT was achieved: the delay to the project due to their activism threw the construction schedule off and the entire project was eventually put on the back burner. When, in 2009, the Government of Punjab again announced its intention to go ahead with the road widening, the LBT again petitioned the Supreme Court and another round of litigation commenced. Though the Court’s jurisdiction over environmental rights may be ample, it was unprepared for the urban and transport issues that arose from this case. Several hearings proved unfruitful until, early last year, the Court appointed a renowned environmental lawyer, Dr. Parvez Hassan, the President of the Pakistan Environment Law Association, as a mediator between the Government of Punjab and the LBT. In doing so, the Court broke with its usual practice of appointing Commissions to investigate environment-related cases. The mediator appointed a committee of well-reputed citizens, environmentalists, and urbanists, as well as a member of the Provincial Assembly and the Commissioner of Lahore. The Committee, in turn, held a series of public hearings to tease out the various issues and stands taken by the Government of Punjab and LBT. During this remarkable process, academics, students, transport experts, former mayors and citizens who approached the committee were given an opportunity to give their views on the project, how it would affect the city and possible alternatives. The committee considered the views of the public and formulated its recommendations seeking to find a common ground between the concerns of the LBT and the imperatives of urban growth. These were submitted to the Supreme Court and became part of the decision of the Court. The Court held that the green spaces along The Canal Road threatened by the widening project were “public trusts” to be regulated for the benefit of the public. Thus it allowed only 3.5 km of a proposed 14 km stretch of road to be widened. However, at the same time, it directed the Government of Punjab to enact urban heritage park legislation that would protect the green belts from future road-widening. 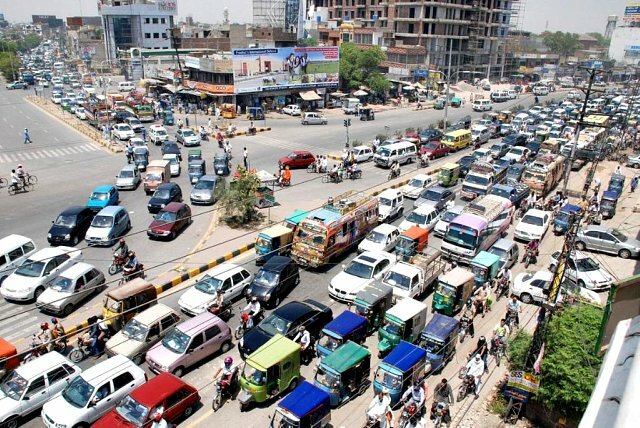 The Government of Punjab was directed to promote public transport over private automobile usage and to develop the green belts into public recreational areas. These directions are a first for the Supreme Court and are unique in legal terms as a process employed to involve a blend of activism, public participation and expert opinion. The long-term effects of the Supreme Court’s decision will take years to understand. Some people have criticized the mediation process, arguing that mediation may result in a compromise between litigants at the cost of the environment and pointing to the loss of 3.5 km of trees. Be that as it may, this case stands out in Pakistani legal history as a precedent for urban planning and transport initiatives in the future. As Pakistan’s urbanization continues and urban issues become more discernible, this case shall be the foundation upon which urban rights will develop in Pakistan.